Marrying sustainability with luxury, Bjork & Berries’ body care evokes the essence of Scandinavia – minimalism, efficacy and aestheticism. 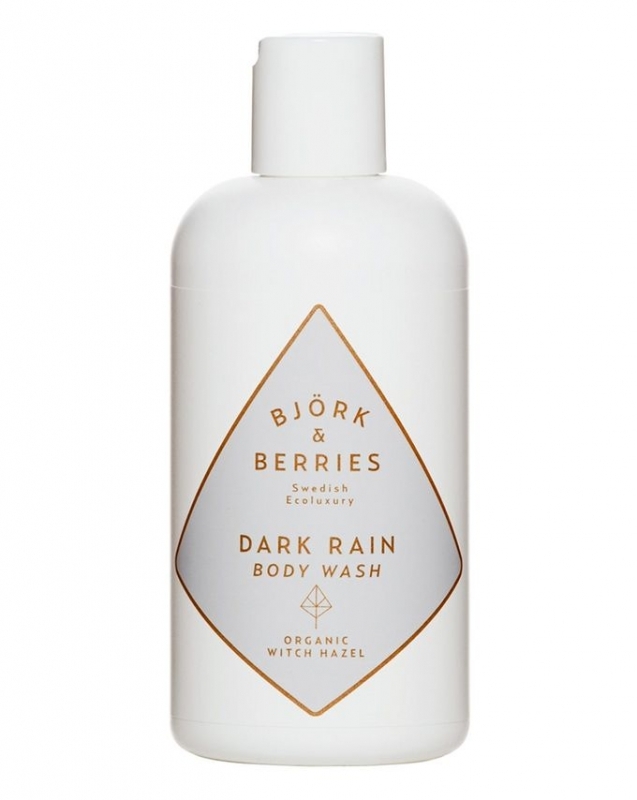 Their ‘Dark Rain’ fragrance is inspired by the first rainfall of autumn, when skin is still sunkissed but winter is coming… Earthy, warm and woody, the star ingredient is witch hazel – lauded for its skin-enriching properties – as well as its supposed seductive powers. Bjork & Berries’ Dark Rain Body Wash gently cleanses and hydrates your skin whilst maintaining its pH balance. Rich in vitamins derived from organic witch hazel and birch extracts, this indulgent cleanser has natural, antibacterial properties to keep things nice and sterile, while the nourishing formula maintains moisture levels to help prevent scales and keep your skin supple. A little goes a long way (this lathers beautifully but is completely free from sulphates), and the chic, white and gold packaging makes a beautiful addition to a Scandi-style bathroom.